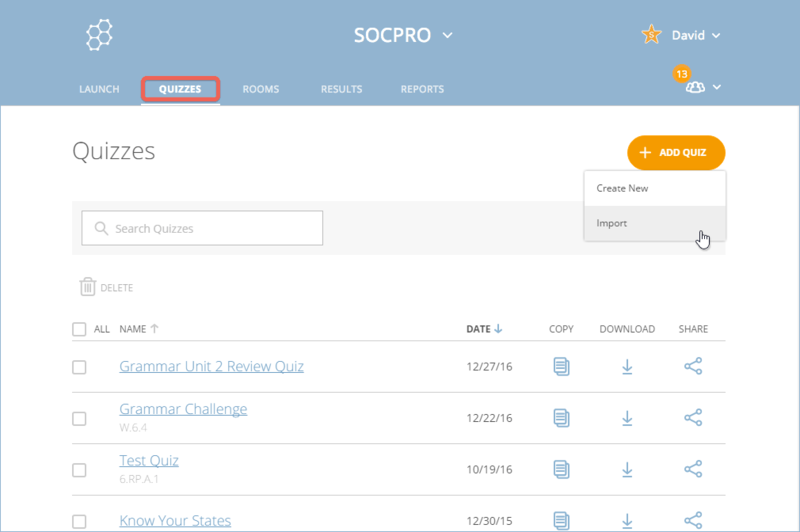 This article will show you how to import a copy of another user's shared Socrative quiz. For more information on sharing your quizzes with the community, please see our Help article, Use the Socrative Shared Quiz List. 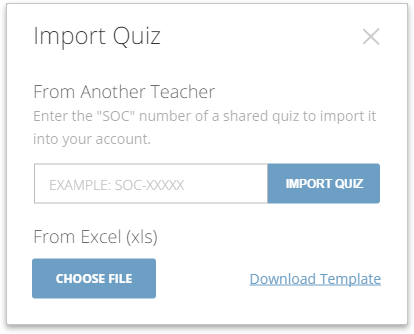 Enter the “SOC” number of the shared quiz you want to import, then click on Import Quiz. For information on finding and sharing your own SOC number, please see our Help article, Share Your Quiz With Another Socrative User. If you receive an error, check the SOC number and try again. If the import is successful, click Confirm to continue.